Location: Rancho Palos Verdes. From the south end of I-110/west end of the Vincent Thomas Bridge in San Pedro, take Gaffey St. south for 0.2 mile. Turn right onto 1st St. and follow it 1.6 miles to Miraleste Drive. Turn right on Miraleste and follow it 0.8 miles. 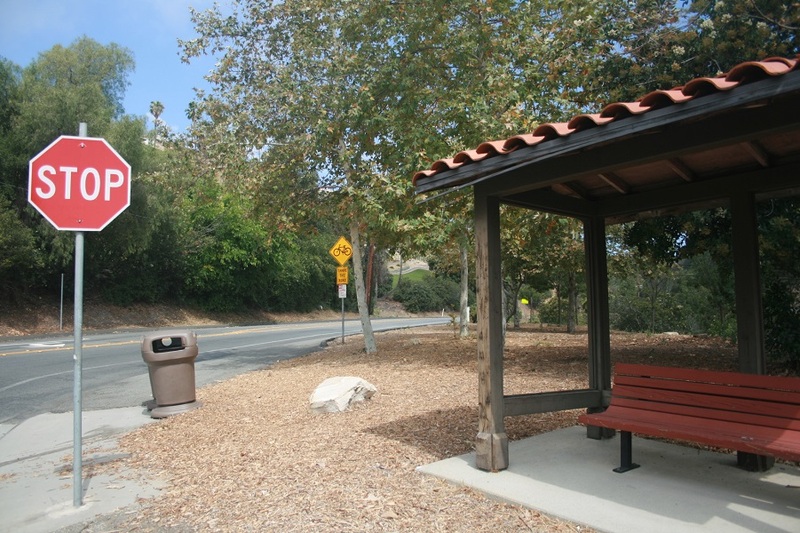 Parking is available on Miraleste just before its end at Palos Verdes Drive East. If you think you’ve seen it all when it comes to hiking on the Palos Verdes Peninsula, you might want to check out this short but steep and surprisingly rugged trail. 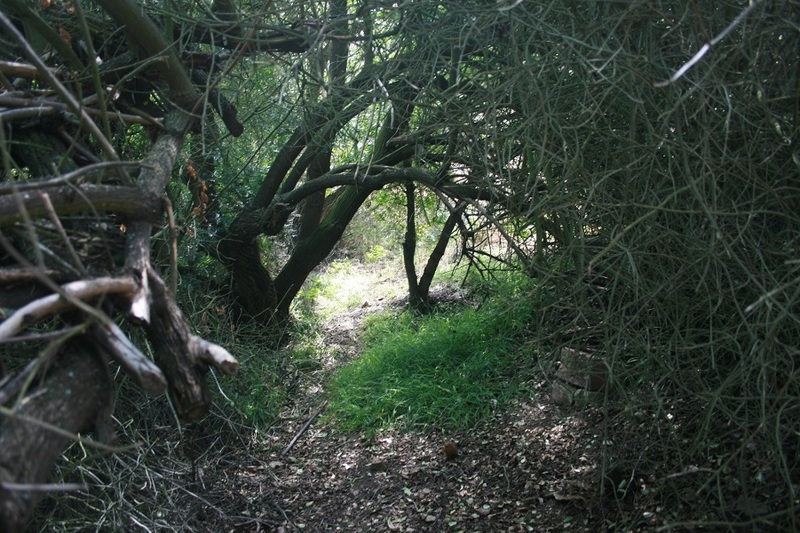 Not to be confused with the nearby Canada Trails of Miraleste Canyon Park, this trail climbs the eastern slope of San Pedro Hill, linking Palos Verdes Drive East to the end of Crest Road, more than 600 feet above. 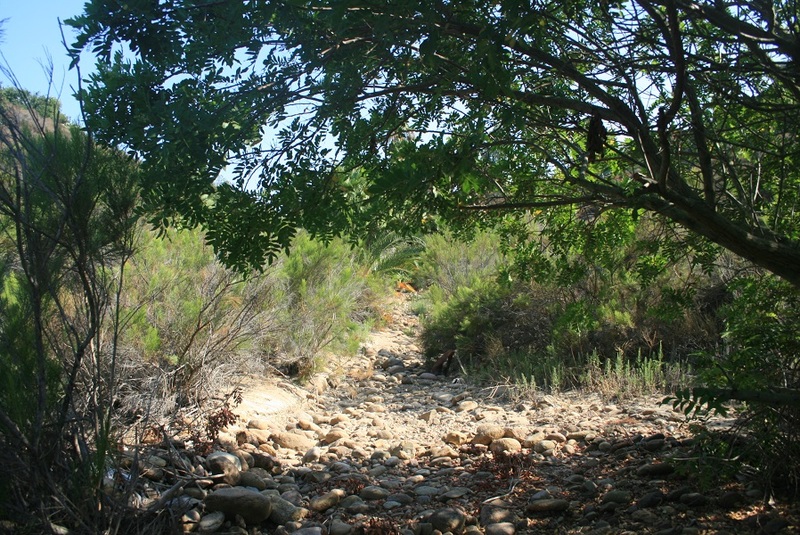 While the trail is not signed and appears to be only represented online by Google Maps, it is fairly easy to follow but for a few overgrown stretches. Regular use (sadly, mainly in the form of litter) is evident. This write-up assumes a start from the corner of Miraleste Drive and Palos Verdes Drive East. 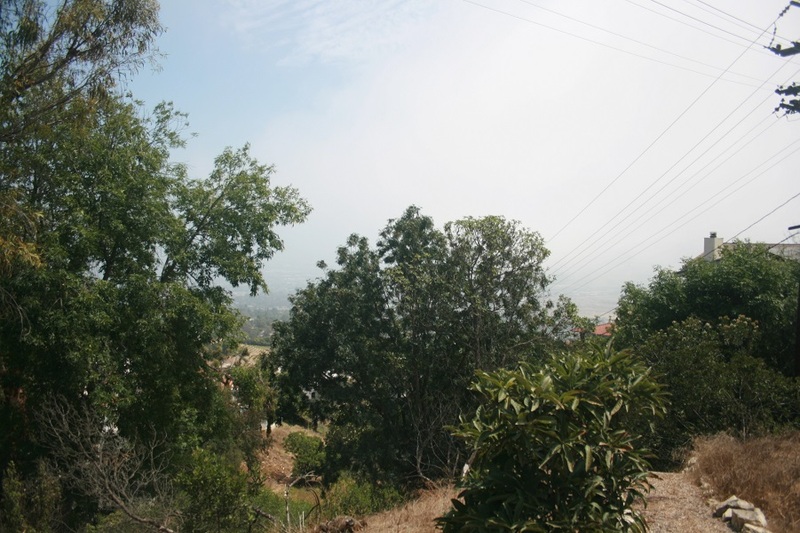 Head north on Palos Verdes and follow it 0.1 mile to an intersection with Crownview Drive. 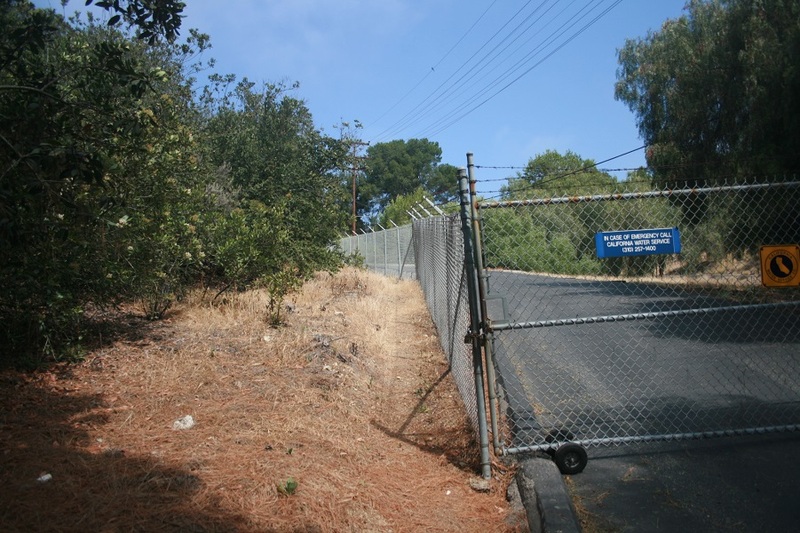 With caution, cross Palos Verdes (there is a crosswalk but no light or stop sign), cross Crownview and pick up a narrow, unsigned trail on the left of the metal fence leading to the water treatment plant. 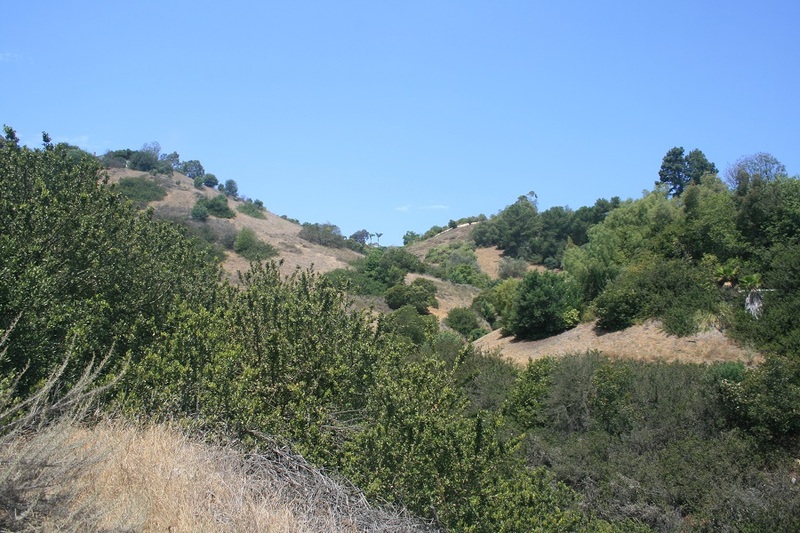 The steep and loose trail heads uphill, hugging the fence for a quarter mile before reaching the heart of upper Miraleste Canyon. 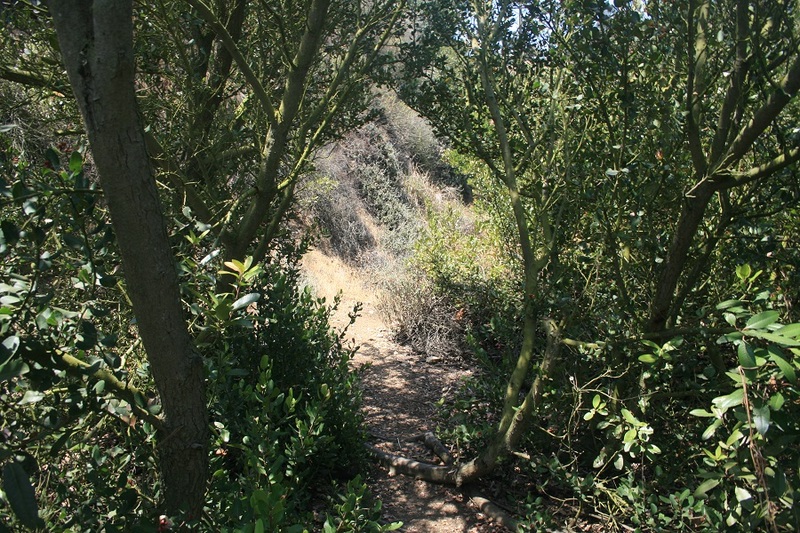 The trail briefly levels out before making a final ascent, at first through a gully overgrown with weeds and then on a well-marked and well-maintained pathway. A final switchback brings you to Crest Road, where you can sit and enjoy a panoramic view toward San Pedro, Long Beach and the distant Santa Ana Mountains. Text and photography copyright 2016 by David W. Lockeretz, all rights reserved. Information and opinions provided are kept current to the best of the author’s ability. 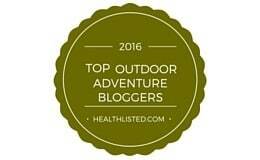 All readers hike at their own risk, and should be aware of the possible dangers of hiking, walking and other outdoor activities. 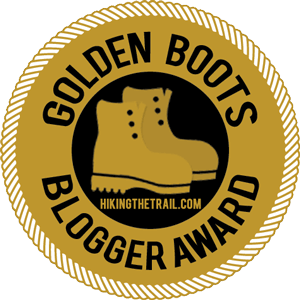 By reading this, you agree not to hold the author or publisher of the content on this web site responsible for any injuries or inconveniences that may result from hiking on this trail. 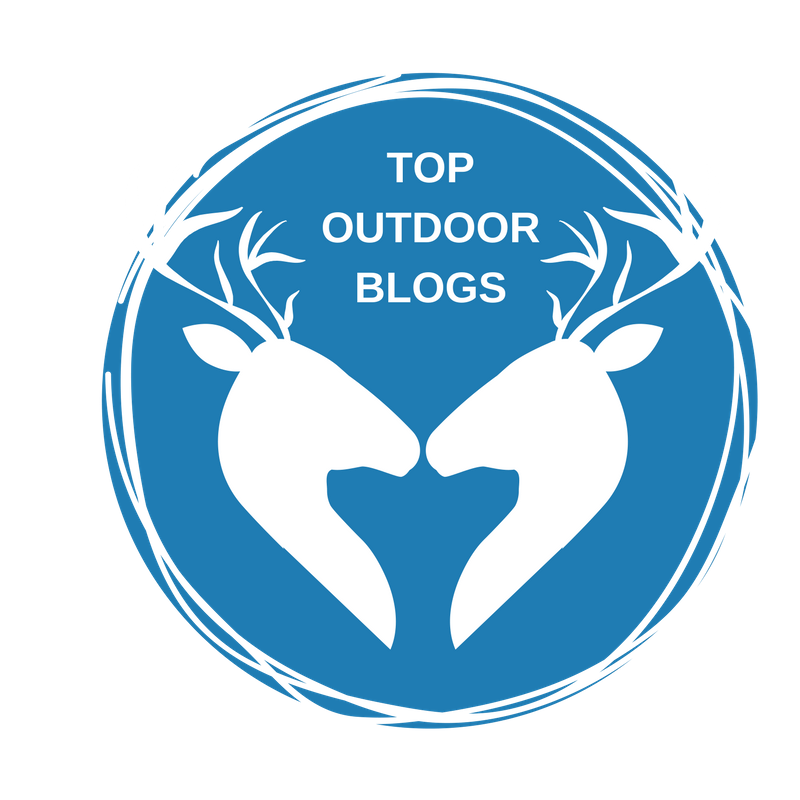 Check the informational links provided for up to date trail condition information.